Day trading involves buying an asset and selling it on the same day. In day trading, you try to take advantage of short term movements in the markets. Profits are made when a trader is able to purchase a chosen asset at a relatively low price, and sell it at a higher one. The difference between those two prices, minus a small fee, is the net profit of that position. Day trading is already very popular among stocks and forex speculators, and now it is starting to gain more and more momentum and interest in the crypto currencies market as well. A simple example of a day trade would be when you buy 1 BTC for 9,000 USD at a certain time, and sell it one hour later for 9,500 USD. This is a day trade because the actions of opening the position by buying, and closing it by selling, take place during the same day. The profits would be the difference between those two prices, and in our case: $9,500 – $9,000 = $500. When you day trade, you want to find a dynamic asset, one that is influenced by various factors and potentially fluctuates quickly and often. Crypto currencies are a great example. Most people are familiar with Bitcoin but there are hundreds of other cryptocurrencies, known as altcoins, or alternative coins. Each one of them provides another solution and uses quite different technology features. But what is interesting for us at the moment is mainly their volatile nature that makes them so attractive for day traders. When you look at assets in different exchanges, you can rarely find stocks, bonds or even currency pairs, that change more than 10% of their value in one single day. In crypto exchanges, on the other hand, you’ll not have to work hard to find cases in which the coins rose hundreds and even thousands percent during the daily time frame. Simply put, the prices of virtual coins tend to change a lot. The more the price changes, the more opportunities to buy low and sell higher there are. When you buy an asset, you can sell it right away or hold it as an investment for several years. There are many time frames and every participant in the market has his own preferences and considerations. There are few advantages for long term trades, such as the ability to base your decision on an in-depth research and analysis. However, longer investments also come with certain risks. There are so many factors that might affects future prices, and most of them are out of anyone’s control and cannot be anticipated. This is especially relevant when it comes to the crypto digital coins market, which is after all still young. Even though there are many indications that this field is here to stay and to keep growing, it still needs to pass the test of time and prove stability. When you day trade, you don’t need to worry about geopolitical events, inflation, or government’s actions. You simply try to take advantage of quick price movements during the day. You take your profit and get out, that’s it. Professional day traders have probably the best job in the world. When you day trade, you have the freedom to trade from wherever you want and whenever you decide. You enjoy constant intellectual challenge, and most importantly, huge profits potential. Look at the attached image showing a movement of the TRX/BTC digital currency pair. Where else could you double your investment and even more on the same day, and triple it on the following day? If you were to buy at the beginning of the day at point A when the price was merely 6 cents, you could sell it at point B at around 14 cents which is more than 100% gain. And if you would wait another day and sell it at point C you could even triple your traded capital. When you compare it with the yields of other investment channels, you’ll find that it’s hard to find stable ones that provide more than 5-10 percent for the entire year. There are many other advantages for day trading, such as not being exposed to long term risks and being able to enjoy the exact same price movement again and again. You also don’t need to deal with the emotional ups and downs when you hold an asset for long time, seeing it keep changing. With all the above being said, cryptocurrency day trading has a downside and there are risks involved in it. It’s not that easy to be able to day trade crypto currencies successfully over time. The volatility can work also against you and the market might be unpredictable and not always behave as you would expect. As a matter of fact, most people who day trade lose their money by making wrong decisions. The good news is that people tend to make the same mistakes. When you know what they are, you can avoid them. With good guidance and the right mentality you can be a successful day trader, and we are here to help you with that. To be a good day trader, you have to spend time and energy in order to track the market and be ready whenever good opportunities occur, and so you can manage your existing positions. Another thing you should consider is that each trading position carries a small commission. When you day trade, you naturally open and close a relatively high amount of positions and therefore pay some additional fees. There are different platforms where you can day trade crypto currencies. The first type is CFD and Forex brokers. They create artificial instruments that imitates digital coins’ behavior and let you bet on their future direction. You are not actually buying the currencies themselves, but an investment tool that represents their value and allow you to make profits whenever it changes. With these brokers you usually use fiat currencies, such as USD or EURO, in order to speculate. They offer leveraged trading, which allows small traders to take larger positions. What it basically does is to strengthen the impact of any price movement. As a result, the profit potential might be higher, but the risks for losing your money fast increase as well. The other option, is to use real crypto currencies exchanges, where you actually buy the currency you trade on. There are some very credible exchanges around such as Binance. Many professional traders use them as their main platform for trading crypto. In these exchanges you usually use Bitcoin as the basic currency which is traded against other ones. However, some exchanges also offer using other coins such as Ethereum and USDT for this purpose. Day trading is a great method for taking advantage of short term events in the market. You use those changes and turn them into profits without being exposed to long term risks. The volatility of crypto currencies is the quality that makes them suitable for day trading and for that reason, they keep gaining popularity. Professional traders enjoy huge gains, freedom and flexibility. But at the same it’s not such an easy task and it involves some risks. If you want to become a profitable day trader, you need to know that it requires some time and effort. You need to learn and also develop the right mentality. Eventually, you have to choose wisely the platform where you apply your knowledge and strategies. The good part is that we are here to lead the way for you, and the rewards at the end absolutely worth it. Want to Read More Day Trading Reviews? Coincube.io Review – Legit Crypto Auto Trading? ForexTime.com Review – Is FXTM a Safe Brokerage for 2019? GMOTrading Review – Why Others Are Calling Them a Scam! Legal CFD Review – A Trusted Broker? Trade Well Review – Trustworthy Crypto Broker? is daxrobot that you advertise a good site? Are WiseBanc legit? I’m having problems getting them to accept my verification documentation, so I can’t trade yet (since April). Meanwhile, last month, they started charging me an Account Maintenance fee of $50 a month if no trades are made during that month. I have asked them to cancel the account and refund my balance ($50 less than my investment, soon to be $100 less) Can they do this? They took over from PrimeCFDs, and the promotional material for them stated no fees, etc. except the 1% commission. I was not told of any changes to the operational policies that had been made as a result of the take-over. Could you look int this for me, please? Is bitclubadvantage academy a legit or a scum? Here’s our Bitclub Advantage Academy review. The only thing that want is that someone explain me I have feeling really sad right now and I think that the answer that I have at this moment are non professional. I’m feeling scamed. 1st, you are in wrong place. here you havr eviews on a different company. 2nd, we all lost a LOTTTT of money on the DogeCoin, welcome! It is not like this my friend. First yes is true dogebtc is dead coin but they should be to wait to close the trade and was that I said or claim to my manager…. Why you closed the trade with out my consent???? For let you know that I’m true in this case the last week crypto all day close or delete my account with out previous communication with me and when this kind of things happened is because they know that they made a big mistake or better Thomas Frieman and Thimoty managers of crypto so day made e big mistake and they delete al the prove that I had in my account. What you think about that Werner. I made a lot of money on this site and every thing disappear at the next day a d I have prove of that too. again, here it’s not the place to review CryptoAllDay. this is a different company. 2nd, tell me, if you have such a good knowledge and you know how to predict the market, why are you taking a financial advisor? sometimes, this market is unpredictable. the expectations from the Doge was quite high and suddenly he dropped. so if you have an open position it will be better to close him withlose in order to avoid a bigger lose. i can understand you, it’s not feel so nice to lose money but this is the market my friend. How is G1investcoin? Is it genuine or scam? the only TRUE currencies are 3. S C A M !!!! I trade diamonds and ostrich eggs only. 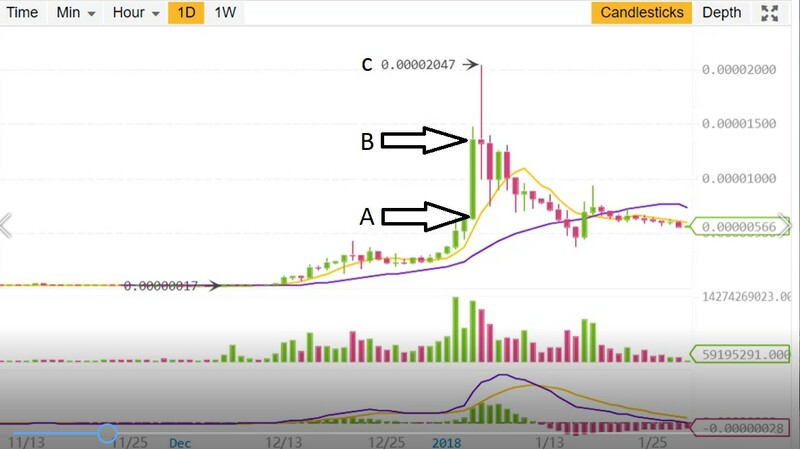 Is the binary trade investment ia real? Are you asking about a specific service or binary options trading in general? Admin, is Minersale.com a scam?? Check out our MinerSale review. I hope scambitcoin can create a scam Cryptocurrency List indicated either because it does not include cryptocurrency like onecoin or because the system is ponzi like Bitconnect. In the list is accompanied by a discussion link. Also a list of trusted cloud mining reviews that actually work with hardware manufacturers like ASIC, Antminer or others. Because I have a Bitcoin community group where they are still prone to fall into the wrong crypto due to lack of knowledge. Swisscoin is probably a scam, but I will need to conduct a full review to be certain. hi who can i speak with about partnership? HI. What kind of partnership? Did you read our BitcoinDoubler.tech review?